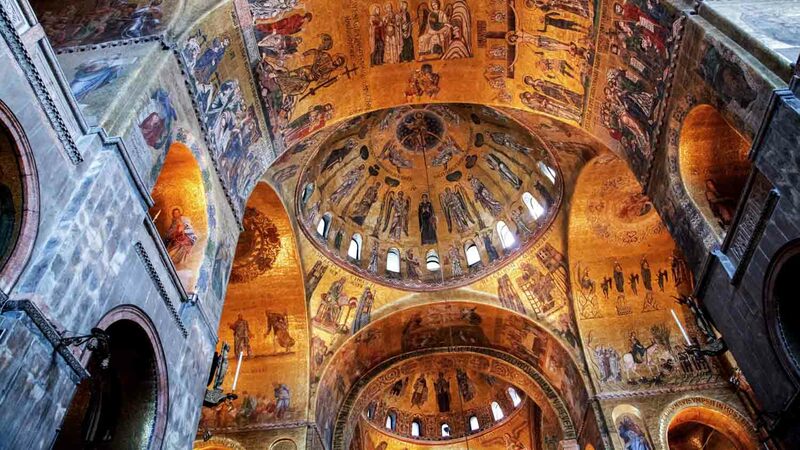 Venice's most famous church is more a testament to the city's Medieval wealth and power than the teachings of Christ. Its history, however, might just be even more spectacular than its architecture! Here are five fun facts dug up from its colorful past. 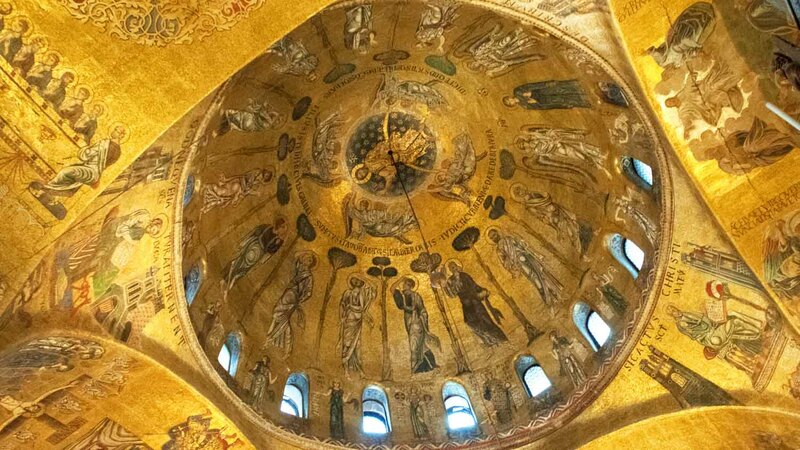 The original church was built circa 832 to harbor the relics of Saint Mark, which were supposedly stolen from Alexandria by Venetian merchants! The Doge (leader) of Venice, Pietro IV Candiano, was so unpopular by 976 that his constituents locked him in Saint Mark's and burned it to the ground! 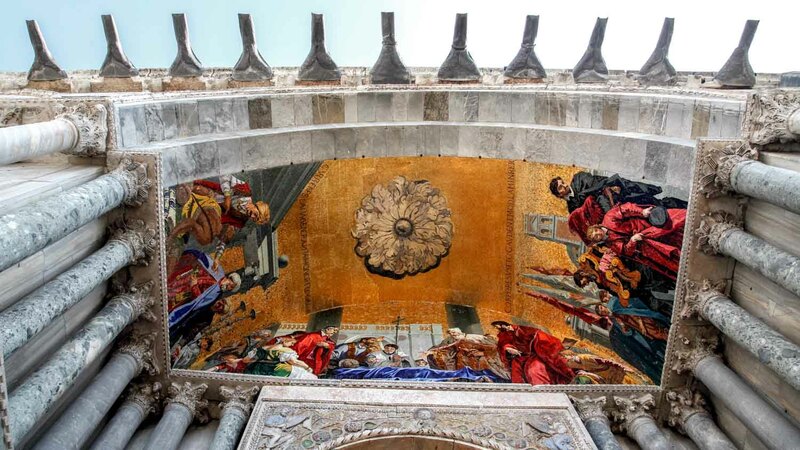 Its nickname is the "Chiesa d'Oro"
Hardly a symbol of Christian humility, the cathedral's opulent mosaics gave rise to a nickname that has lasted since its 9th century construction – The Church of Gold! The 4th Crusade didn't go quite as planned! Rather than reach Jerusalum, the Venetians instead pillaged Constantinople and stole many artifacts to adorn their cathedral. But, unfortunately, only about a third is original! Though once maintained by a workshop of skilled mosaicists, much was simply replaced in cheap 19th-century restoration attempts. The Basilica's opening hours are from 9:45AM to 5:00PM, and on Sundays and holidays between 2:00PM and 4:00PM or 5:00PM depending on the season. Entrance to the Basilica is free, but visiting the museum, treasury, or Pala d'Oro requires paying for tickets. 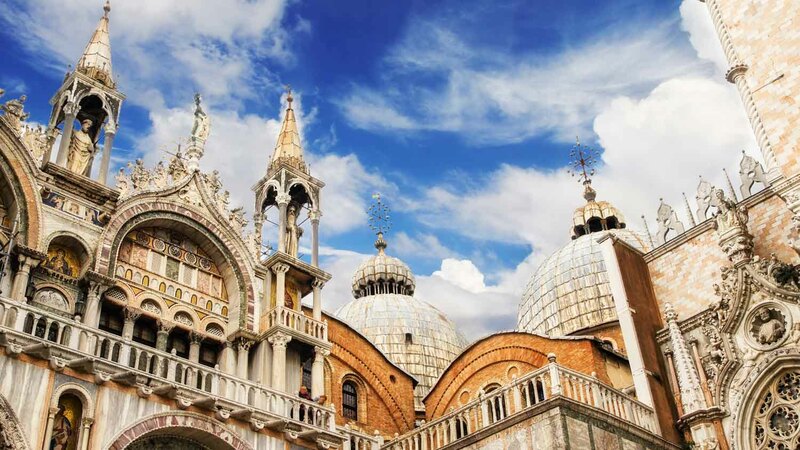 Whether you're booking a tour or intend to visit Saint Mark's Basilica alone, be sure to dress appropriately for a place of worship! A general rule of thumb is to keep arms and legs covered (and no flip-flops!). Also note that bringing luggage in is forbidden, as is filming or taking photographs inside. 9:45AM to 5:00PM, Sundays and Holidays 2:00PM to 4:00PM or 5:00PM, depending on season. 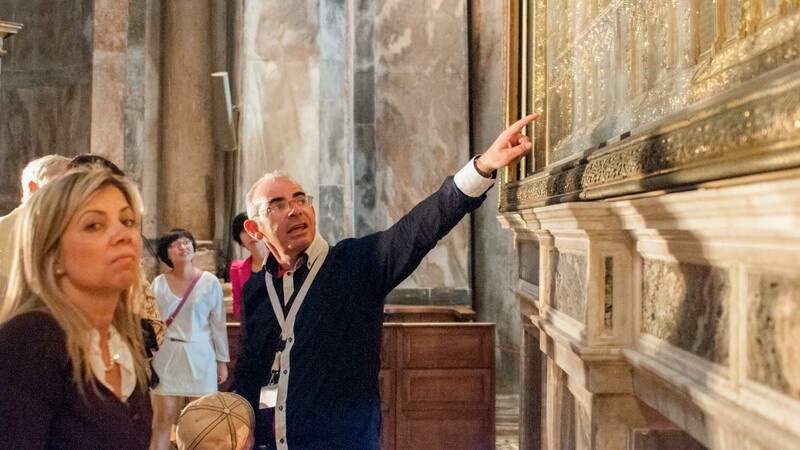 The Basilica is free, but the museum, treasury and Pala d'Oro require admission fees. Bringing in luggage, filming or taking photographs inside is strictly forbidden. | It's best to keep your arms and legs covered, and no flip-flops!